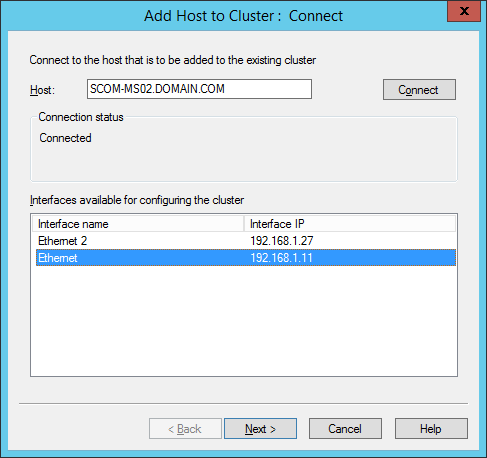 In the previous post in this mini-series, we created a NLB cluster, and added the first SCOM Management Server. 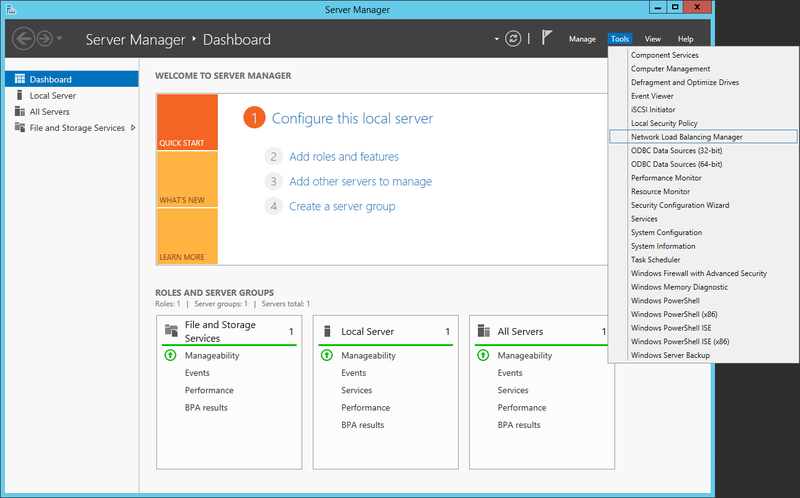 Now we will add the second SCOM Management Server to the cluster. 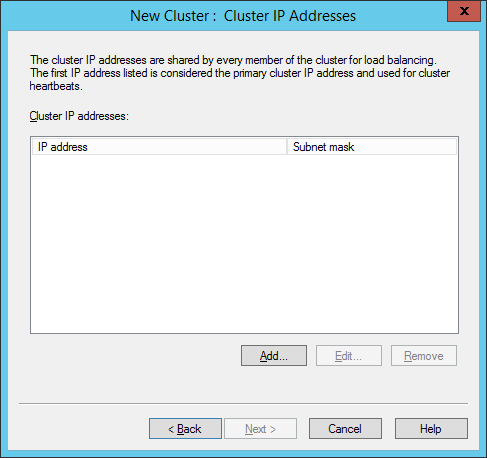 Use the following procedure to add hosts to a Network Load Balancing (NLB) cluster. 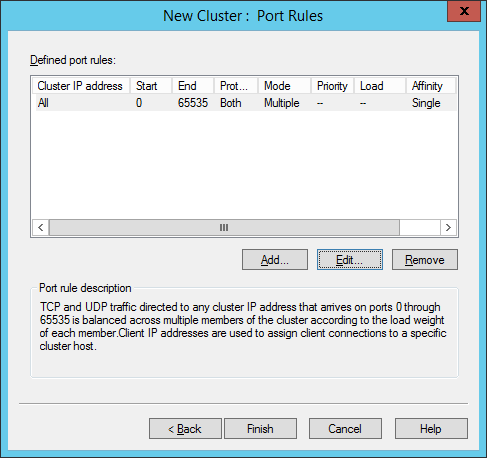 To ensure that Network Load Balancing Manager is displaying the most recent host information, right-click the cluster and click Refresh. 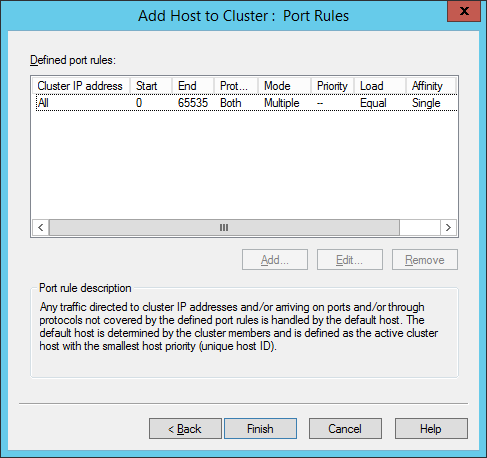 This step is necessary because the host properties that Network Load Balancing Manager displays are a copy of the host properties that were configured the last time Network Load Balancing Manager connected to that host. 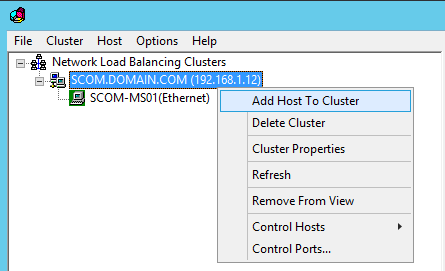 When you click Refresh, Network Load Balancing Manager reconnects to the cluster and displays updated information. Let’s continue with the fourth step. Now that we have a Network Load Balance Cluster created, we can now add the second SCOM Management server to the cluster. 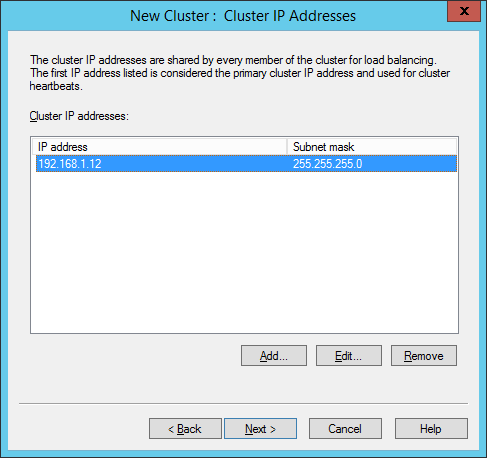 Right-click the cluster where you want to add the host and choose Add Host To Cluster. If NLB Manager does not list the cluster, connect to the cluster. Type the host’s name and click Connect. The network adapters that are available on the host will be listed at the bottom of the dialog box. 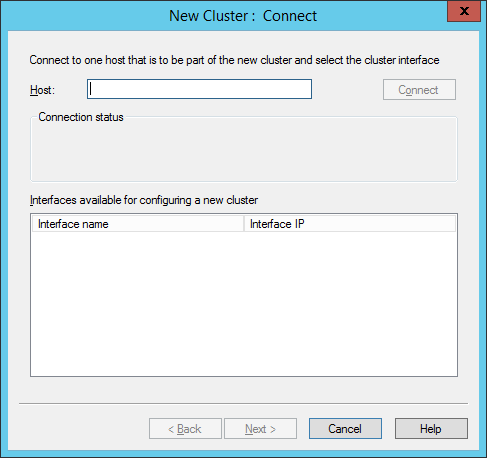 Click the network adapter that you want to use for Network Load Balancing and then click Next. The IP address configured on this network adapter will be the dedicated IP address for this host. Configure the remaining host parameters as appropriate, and then click Finish. Now our second Management Server has been added into the NLB Cluster. 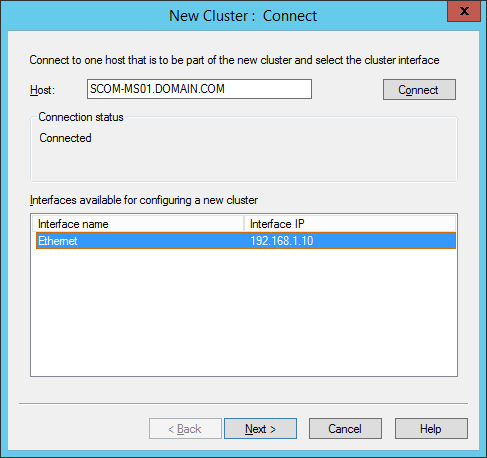 When you launch the SCOM Console, enter the NLB Cluster name instead of a specific Management Server. 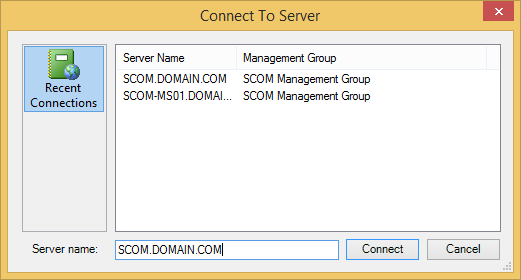 We have now successfully made the SCOM Data Access Service highly available. I just wanted to send out a quick post about the latest Update Rollup for System Center 2012 R2, which was released today! Generally, it’s best practice to wait a little while before implementing a new update into a Production environment. Therefore, you should test these updates in a lab/test environment first. Stay tuned, as I implement/try these updates in my lab.